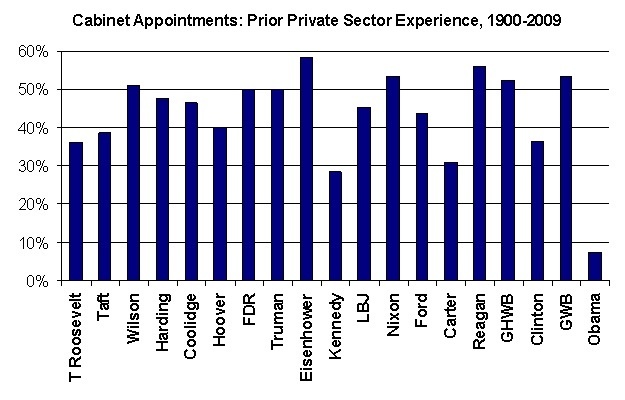 Wanna know why public education can’t keep up with private industry? One word. Wilburn Elementary is the only Wake school that offers merit pay, in which some teachers could get bonuses while others get none based on how their students and the school perform. Finally a system that incents people act in a manner that closer resembles the goal of the organization. We want teachers to teach better. Therefore, we should, as closely as possible, offer more money to teachers who teach better; not just longer. It would seem that the Board is more concerned with providing cover for the sure to come “high poverty schools” than with the actual program itself. Minnesota has one of the oldest High Risk Pools, Minnesota Comprehensive Health Insurance, in the country. All told, there are 35 of them and the Gopher State has been at it since 1976. It’s mission, a noble one. Since becoming operational in 1977, MCHA has served as an insurance safety net for Minnesotans who have been turned down for individual health insurance due to pre-existing conditions. Sounds great. And to a whole bunch of people it is. With pre-existing conditions they are able to find health insurance where normally they might not be able to. Only problem? In 2008, MCHA spent $136.5 million more paying for medical care and administrative costs than it collected in premiums and other revenue. In 2009, those losses are projected at $150 million. That’s a whole lotta money. Now, without going into the Oughts and Ought Nots of the thing, the point remains; that’s a lot of money. And the main strategy of the MCHA to get to the point where they don’t lose that kinda money year over year? Obama’s Health Insurance Reform. Yup. The only way for the MCHA to quit losing money is to go out of business. And the only way for the United States to AVOID losing money is to STAY out of business. Further, I think that when you take a Disney Bluebird in a Disney Meadow and rip it up, throw down tons of asphalt and generators and buildings and stuff, the Disney Bluebird is going to be warmer than he used to be. I have no doubt that parts of the world are warmer than they otherwise would have been. MANAUS, Brazil – Brazil’s president said that “gringos” should pay Amazon nations to prevent deforestation, insisting rich Western nations have caused much more past environmental destruction than the loggers and farmers who cut and burn trees in the world’s largest tropical rain forest. Yup. This guy thinks that we should pay him NOT to cut down trees in HIS forest. Which if course, reminds me of the old joke. How does a farmer in America double his earnings? Put up another mailbox! Now look, I don’t know if El Presidente really thinks that the world is burning or not. In fact, if I had to guess, I would say he doesn’t. But the fact that a lot of people DO feel that way may actually help funnel that money to him. Is Global Warming real? Fake? I have my suspicions. But the fact that we break down party lines gives me the impression that “The Science” isn’t anywhere close to “being in”. The Brazilian Amazon is arguably the world’s biggest natural defense against global warming, acting as an absorber of carbon dioxide. But it is also a big contributor to warming because about 75 percent of Brazil’s emissions come from rainforest clearing, as vegetation burns and felled trees rot. It would seem that if the Amazon were truly such a defender of the planet, and that it is a given that we want to increase CO2 eating trees, that we should cut down the WHOLE thing, sequester all of the lumber in things like houses or boats or whatever and replant it all with younger faster growing trees that will consume MORE CO2. I mean certainly young trees growing eat more CO2 than old trees simply eeking out a living? Rookie QB, RB and WR. Wonder why we have zero points? We are witnessing a deadly combination; A powerful government expansion into the private sector coupled with an administration that has not one single clue how to run an organization within that private sector. The Entrepreneur in Chief himself has never held a single position that required him to run an organization of people, accomplish a goal and do it well or be fired. Shift managers at McDonald’s have more experience running a shop than this guy. WASHINGTON – The Obama administration, battling a foreclosure crisis that shows no signs of relenting, will step up pressure on mortgage companies to do more to help people remain in their homes, officials said Saturday. … the goal was to increase the rate that troubled home loans were converted into new loans with lower monthly payments. Industry officials said the new effort would include increased pressure on mortgage companies to accelerate loan modifications by highlighting firms that are lagging in that area. So, to be clear, the government “stepped up pressure” on firms to borrow people money so that they could get into a home. Then, when those people who couldn’t afford to buy a home actually start to demonstrate that they can’t afford to own a home, the government is going to “step up pressure” on those companies to help those people who can’t afford to be in a home stay in the home that they can’t afford to be in. And why are we going to do this? Rising foreclosures depress home prices and threaten the sustainability of the fledgling economic recovery. Ahhh, yes. Of course. And so, in an effort to help fix the problem, ol’ Unc Sam is gonna step in and hold those home prices artificially high. See, right now, there are a number of people holding onto assets [homes] at a price that isn’t sustainable. Given their marginal risk and marginal gain, they are determining that keeping the house is not an option. If left to normal devices, the house would foreclose and the surrounding properties would adjust their value; almost assuredly downward. This in turn sends a signal to home BUILDERS that new homes are not needed and therefore they won’t be built. In time, the value of existing homes will find a level at a sustainable price and people will again begin to buy homes. But no. Obama wants tp keep prices artificially high. This in turns keep people in their homes sending signals to builders that we need more homes. Further, because these value stay high a whole segment of the population is not able to realize THEIR dream of buying a home; they are priced out. In any event, the bubble that was is now becoming the bubble that continues to be. Under the $75 billion Treasury program, companies that agree to lower payments for troubled borrowers collect $1,000 initially from the government for each loan, followed by $1,000 annually for up to three years. We get to spend a TON of money that we don’t have on a government program that is going to beg, BEG, for fraud and abuse. 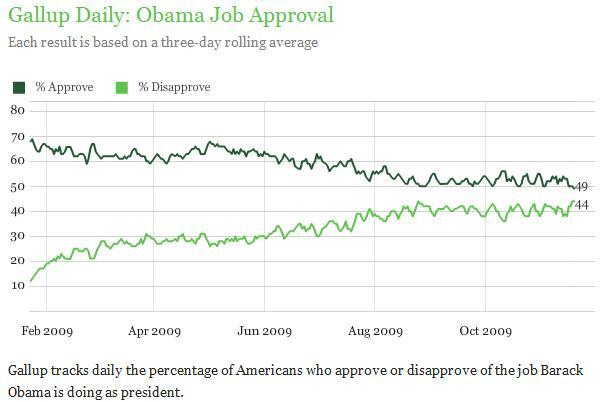 At this rate; Sarah Palin, heck, anyone, will be able to beat Obama in 20112. Springs the largest of trees. Only this time, the tree is rotten to the core. And what was in those documents? Nice. So ACORN just dumps 20k pages of highly confidential information into the trash. This isn’t a mistake; someone’s paperwork didn’t get mixed up with the shopping list for the company picnic. This was a deliberate disposal of these documents. Makes you wonder; what else was in those documents that were thrown away? …has found connections to the California Teachers Association and to Citibank. Just awesome. We have an organization that helps pimps open brothels and import illegal immigrants to work there involved with not only the shady underground, but with CTA and Citi! America’s president shows an alarming lack of self-confidence. FOR some critics of Barack Obama, America’s dependence on China as the holder of some $800 billion of its government debt is to blame for what they see as a humiliating visit there this week. He preferred heaping praise on China’s achievements to hectoring its leaders about its shortcomings. Other critics went further and saw this emollient approach as in keeping with similar embarrassments elsewhere on his Asian tour. In Japan, he bowed deeply to Japan’s Emperor Akihito. In Singapore he attended a meeting with South-East Asian leaders including the prime minister of the repellent Burmese dictatorship. The shine is wearing off. I think that I’m gonna keep a running tally of the crap that’s going on in California. It is possible, very likely, that the State is going to have to go bankrupt or beg for and receive a bailout from the Federal Government. California is known for its car culture. But it turns out those wheels are rolling over some of the worst roads in the nation. A recent study ranked California 49th out of the 50 states for the quality of its pavement. New Jersey came in last. But California has the distinction of having the nation’s worst roads in urban areas. I should be happy that NPR is saying anything negative on the darling of the left. But then again, not one single reference as to why the roads are so bad. Not one mention as to the shrinking revenues, the mounting debt and the tendency of California to drive out both business and the wealthy. WASHINGTON (Reuters) – President Barack Obama assured Americans on Monday that boosting jobs was a top priority, but gave no specifics about how to meet this goal that some economists say warrants more government spending. And that, ladies and gentlegerms, is the whole summation of his career. This one I don’t get. There is a country. This country has a Constitution that says a President can only serve 2 terms. The current President wants to serve at least 3. The legally sanctioned Vice-President along with the Constitutionally called for “Senate” arrest said President and strip him of his power. The Vice-President, a political ALLY of ex-President, reluctant to do so, accepts the job of President and is willing to hold elections and step down to the winner. So, America crafts a deal that would call for the disgraced President to regain his office IF he recognizes the elections in November, per the Constitution. Now, the rascal is backing out. He even sent a letter to Obama. Gettin’ closer to being benched!